Minford (7-0, 4-0 SOC II) sweeps the season series against SOC II rival Valley (2-6, 0-4 SOC II) with a 12-6 win Wednesday in Lucasville. Elijah Vogelsong and Reid Shultz took to the mound for the Falcons in the win combining for 7 IP, nine hits allowed with just three earned runs. At the plate, Ethan Lauder drove in a game high five RBI while going 2/4 at the plate. Fellow senior Darius Jordan also drove in three runs by going 1/2 at the plate with three walks. Brecken Williams had the best day at the plate for the Indians by going 3/4 with three RBI. The South Webster Jeeps (2-7, 2-2 SOC II) picked up their second win in 2019 by sweeping the season series against the Northwest Mohawks (1-6, 0-4 SOC II). Freshman Cam Carpenter took to the mound for the Jeeps in the win, pitching a complete game 5.0 IP, allowing just five hits and a single earned run while striking out four Mohawks batters. At the plate Caleb Cunningham finished with two singles and four RBI for South Webster while Aidan Andrews finished with a single, a double, and three RBI. For Northwest, Nathan Rivers finished with two singles while Kaleb Seals picked up a double. The Portsmouth Trojans (1-4, 0-2 OVC) fell to Coal Grove 9-8 in their second OVC game of 2019. Portsmouth will face Chesapeake Friday with a chance at their first OVC win of the season. In non-league action, the Clay Panthers (7-1, 2-0 SOC II) picked up another lopsided victory on Wednesday, this time against the West Union Dragons. Clay brought home eight runs in the top half of the seventh inning in their trip westward to Adams County, a strong reason they were able to knock off the Dragons by eleven runs. Reece Whitley had an excellent game from the mound for Clay by going the distance and pitching all seven innings, allowing just four hits and one earned run while striking out ten West Union batters. Two seniors had big games at the plate for the Panthers: Garrett Beegan and Brad McCleese. Beegan finished Wednesday night 2/2 with two RBI while McCleese finished 2/4 with an additional two RBI. The Green Bobcats (6-1, 2-0 SOC I) continued their red hot start to 2019 with another SOC I win, this time over county rival East (0-5, 0-4 SOC I). Bryce Ponn had an excellent game at the plate and on the mound. From the mound, Ponn finished after five innings but not before striking out six Tartans. From the plate, Ponn finished 2/3 with a game high four RBI. Also stepping up at the plate for Green were seniors Tanner Kimbler and Tayte Carver. Kimbler finished 2/3 with three runs scored while Carver finished 3/4 with two doubles, three runs scored, and two RBI. In an SOC II matchup, South Webster (7-3, 3-1 SOC II) topped Northwest (1-4, 0-4 SOC II) Wednesday evening by a seven-run margin. The Jeeps were led by Rylee McGraw, who was 3-for-3 with a double and three runs while Emma Bailey was 2-for-2 with a double, three runs and four RBIs. Baylee Cox helped out, going 2-for-3 with two RBIs while Mack Keller finished 1-for-3 with two RBIs. In the circle, Gwen Messer got the win, throwing six innings, allowing three hits and whiffing nine. For the Mohawks, Lexie Throckmorton was 2-for-4 with a run while Lydia Emmons, Sara Smith and Jaclyn Burchett all had one hit each. Smith added a double and two RBIs to her totals as well. In a game that featured many twists and turns, the Portsmouth Trojans (3-6, 2-0 OVC) escaped an OVC contest with Coal Grove victorious by just a single run. Leading the Trojans efforts at the plate was Madison Perry who hit a solo home run in the bottom of the sixth for her second of two RBI. Perry finished Wednesday’s game 2/3 with one walk and a strikeout. Perry was followed closely by the efforts of Olivia Ramey and Jacqueline Bautista. Ramey finished 3/3 with a walk and a single RBI in Wednesday’s win while Bautista finished 2/4 with an RBI double and an RBI triple. 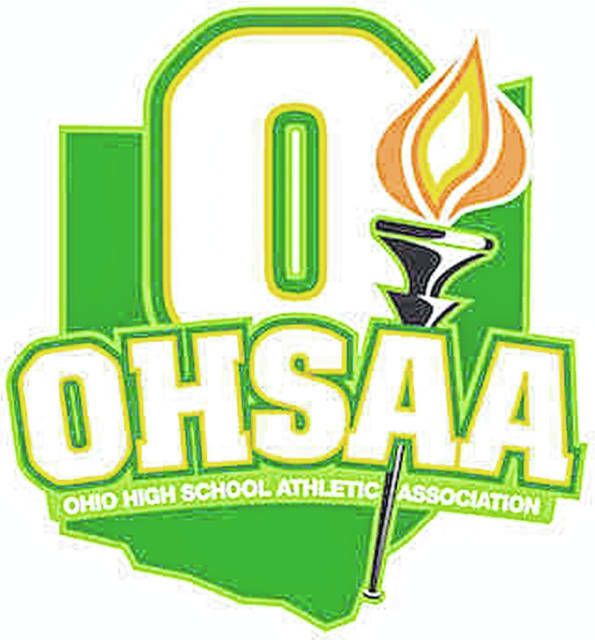 The Bobcats (4-4, 4-0 SOC I) stayed perfect in conference play Wednesday evening with a drubbing of East in Sciotoville. Green was led by Rachael Cline at the dish, who finished 2-for-4 with a double, three RBIs and two runs, as well as Ava Jenkins, who was 2-for-2 with two doubles, three runs and three RBIs. Kerston Sparks also had a big night, going 2-for-3 with three runs and three RBIs, and bot Kori Derifield and Kailyn Neal had three hits each. In total, the Bobcats tallied 20 hits, compared to East’s mark of three. For the Tartans (2-5, 0-4 SOC I), Hannah Ginn was 2-for-3 while Ali Escamilla finished 1-for-2. After beating Symmes Valley (3-2, 2-2 SOC I) by a single run on Monday, Notre Dame (8-0, 4-0 SOC I) remained unbeaten Wednesday night after a 12-0, five-inning win over the Vikings. The Titans were led by Claire Dettwiller, who was 3-for-4 with a double, a run and two RBIs while Madison Brown went 2-for-3 with a double, a run and three RBIs. Ava Hassel finished 1-for-3 with a double and two runs, Maddy Suter was 1-for-3 with a run and two RBIs. In the circle, Cassie Schaefer picked up the win in five innings of work. Schaefer allowed three hits and struck out eight while helping herself at the dish, going 2-for-3 with two doubles, three runs and two RBIs. The Panthers (7-0, 4-0 SOC I) kept pace with Notre Dame Wednesday evening with a 10-run win over New Boston (1-6, 0-4 SOC I). Cassidy Well was 2-for-2 with a triple, two runs and three RBIs for Clay while Lila Brown was 1-for-2 with a triple and two runs. Preslee Lutz earned the win in the circle, throwing a five-inning no-hitter and striking out 11.